What do a famous French dentist, Snow White, and a Victorian gentleman with a pesky toothache have in common? 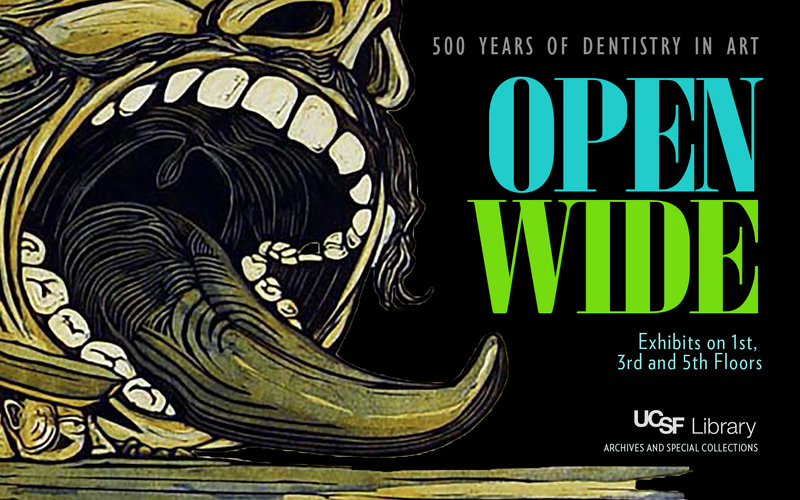 They are a few of the harassed, horrified, and often hilarious figures you can find in Open Wide: 500 Years of Dentistry in Art exhibit. Join the UCSF Archives and Special Collections for the opening reception and self-guided tours exploring artworks from the collection of Dr. Morton G. Rivo, D.D.S., a former Chief of Periodontics at the UCSF Medical Center at Mount Zion. These selections were first displayed in a 2003 exhibit of the same name at the University of Buffalo. 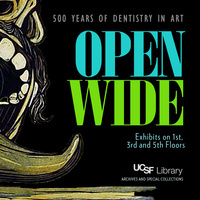 UCSF’s iteration of Open Wide adapts materials from this earlier show and augments the artworks with artifacts, rare books, UCSF School of Dentistry records, and other materials from UCSF Archives and Special Collections. Together, they offer a glimpse into how perspectives on dentistry – and dentistry itself – have changed over the years. Open Wide will be on display on three floors (first, third, and fifth) of the UCSF Library at Parnassus through August 2019. This Exhibit Opening Reception is brought to you by UCSF Archives & Special Collections. Free and open to the public. Refreshments provided while supply lasts.